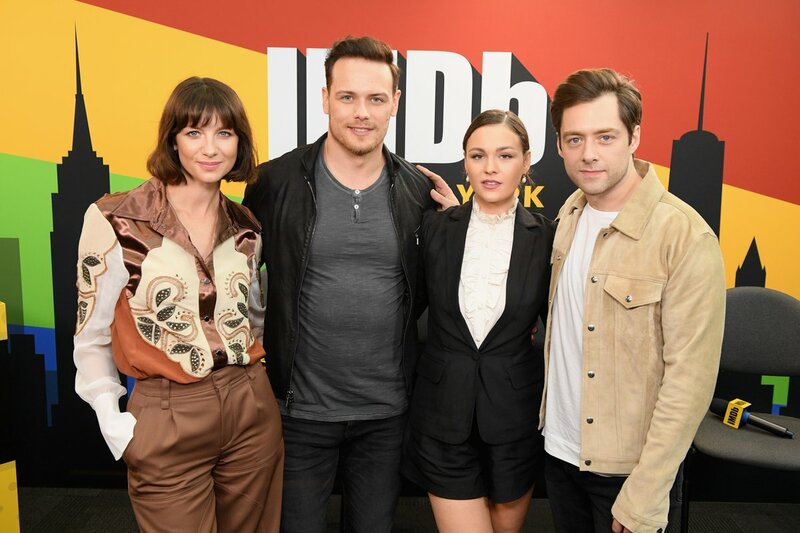 The Outlander cast (Sam Heughan, Caitriona Balfe, Sophie Skelton, and Richard Rankin) was interviewed by Kevin Smith representing IMDb at New York Comic Con. In this brief interview, the cast discussed the fans, pressure on the new cast members, and learning about American history. This entry was posted in Caitriona Balfe, Interviews, New York Comic Con, Richard Rankin, Sam Heughan, Sophie Skelton and tagged Caitriona Balfe, Interviews, NYCC, Richard Rankin, Sam Heughan, Season Four, Sophie Skelton by Sarah Ksiazek. Bookmark the permalink.